Stovetop cooking usually includes a bit of guesswork. The most precision we can get is “medium-high.” A new invention from a startup called Meld is hoping to change all that, offering stovetop cooking at specific temperatures. Earlier this week, Meld launched a Kickstarter campaign for the Meld Knob + Clip, a device that offers temperature control for your existing stovetop—with the help of your smartphone, of course. 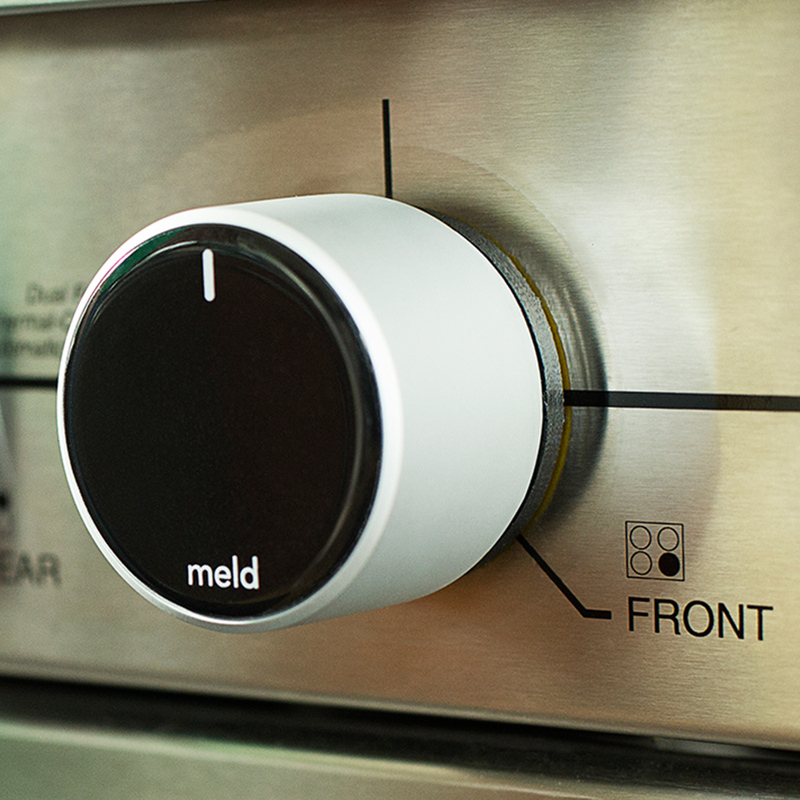 “The Meld Knob + Clip is an automated range knob which attaches to your cooktop and wirelessly communicates with a precision temperature sensor that attaches to your cookware,” the company states. “Along with our iPhone and Android app, the Meld Knob + Clip monitors the temperature of what you’re cooking and makes automatic adjustments to your gas or electric range.” That means that while you’ll still have to watch that garlic you’re sautéing, your chances of burning go way down. The knob claims to be easy to install “on virtually any cooktop” (adapters included, no tools required), and the clip supposedly works with any pot or pan. The two devices connect wirelessly to control temperature, which is set through the app on your smartphone. As an added bonus, the app also contains recipes created with precision in mind, promising to allow home chefs to finally cook recipes as their creator intended. Currently, Meld is offering up the set to people willing to back the project for $129, with a planned delivery date of October 2015. The prototypes are supposedly already fully functional. “We use them to cook every day!” the creators state. Not surprisingly, Meld shot past their goal of $50,000 just days after launch, but if you’re interested in getting on board, there are still 29 days to go.